Prestigious internet marketing university is experiencing rapid growth. Find out more here. Empower Network is a supposed viral blogging platform, but that is just a cover-up for what they are really trying to sell you. You start off with an Empower Network branded WordPress blog, which you pay monthly for, even though you can create your own “personally branded” WordPress blog for free, and you then quickly realize that training is not included. Why isn’t training included? The answer for that is because they want you to pay for it. Their products list is comprised of a bunch of audio and video recordings sold at a super inflated rate. The reason I’m saying “super inflated” is because most of the information that you are buying can be found online for free. Now let’s move on and find out what these products are, what it means to “own” them, and, further, why they aren’t worth half the price their selling for. Viral Blogging System ($25 per month) – This is your very own Empower Network blog. Everyone involved must purchase this blog, as it is required in order to be a part of Empower Network. The blog is tied to the Empower Network domain, i.e. www.empowernetwork.com/yourblog, so there is no self-branding. Your blog’s sole purpose for existing is to promote Empower Network and drive traffic to its site. That purpose is the main reason why these blogs are losing a lot, if not all, of their exposure online and being deemed as spam. Why pay for a blog that is seen as spam by the majority of the online community, when you can get your own “self-branded” blog, to promote any niche, for FREE. Inner Circle Mastermind ($100 per month) – This monthly membership is nothing more than a bunch of audio files that are supposed to be for mental training. The “mindset training,” as they call it, is there to train your mind into going all in with Empower Network, which is to buy all their products, and being totally confident in doing so. So you’re paying $100 per month to listen to audio recordings of stories from current members, and are encouraged to listen to them daily, that will eventually, with repetition, manipulate your mind into spending more money on their pricier products by going all in. Costa Rica Mastermind Intensive (One-time payment of $500) – This is an 11 video course, that is supposed to teach you the ins and outs of online marketing. What you then find out is that it is just a bunch of videos training you how to promote and market the products sold within Empower Network. 15K Formula (One-time payment of $1000) – This one contains more videos, 20 to be exact, that teach you how to drive traffic to your blog. Though this course actually teaches you how to market your blog, what you are learning to do is either outdated, wrong, or can get you flagged for spamming. They recently ran into a major problem with what they were teaching within the course. It had to do with syndication, social media syndication to be exact. People were being taught to use social hubs, such as Facebook and YouTube, in order to get their message out and drive traffic back to their blogs. Unfortunately, what they were taught to do was actually spam those social media outlets. I say spam because they were literally filling both Facebook and YouTube with numerous low quality content, followed by their affiliated Empower Network links, trying to fish for sales. That had a negative impact, which made Facebook dislike them and Google give them a -1, and banned them from using their social outlets to promote Empower Network. This is one quick course to not just losing $1000, but losing all your search rankings as well. Costa Rica Master (One-time payment of $3500) – Yes, you read right, $3500 for 40 video lessons of more stuff that you can find elsewhere on the internet for no fee at all, from list building to niche marketing to content creation. One of the lessons in this course tells you that you can help your team grow by helping them less. That is very wrong and sad, and is the main reason why so many ex-members say they left, which is because they didn’t get any real support from their upline besides telling them to buy all the products. E-Wallet Payment Processor ($19.95 per month) – Another fee? Yes and this one is really unheard of in the industry. You actually have to pay for their payment processor every month in order to receive your commissions. One of the reasons for this, besides the obvious greed of Empower Network, is because other payment processors, such as PayPal and AlertPay, have cut them off due to the fact that their compensation plan represents an illegal scheme. Payment processors, especially the ones regulated by the United States, know that they will also be held accountable for anything that goes wrong if they allow such people to open and hold accounts with them. Video Hosting ($25 per month) – Since Google has shut down many of the accounts of Empower Network’s affiliates due to mass spamming, they have moved toward an optional, but encouraged, paid video hosting platform. It will run you $1 for the first 14 days, and $25 dollars per month thereafter. You get 50GB of storage and 50GB of bandwidth for that price. This, in my educated opinion, is still a ripoff, since you can get a better deal from Vimeo by purchasing their Vimeo Plus subscription $59.95 per year. You’re paying five times more than you should be paying, for, what could be, lower quality video hosting. Oh, and get this, you can only host your videos inside your Empower Network blog by embedding them within your posts. So there is no hosting allowed outside of Empower Network with this option. Now you see how the advertised $25 to start making money with Empower Network, that is being promoted by everyone affiliated with them, actually turns out to cost you more than $5000. What you’re actually getting from purchasing the products is resell rights. That is why you’ll hear them tell you that the answers to all your questions are within next (more expensive) product. What Happened To The 100% Commission Loophole? The key selling point, that is found and advertised on all of their content, is the supposed 100% commission loophole compensation you can take advantage of if you join the Empower Network. However, when you look at their compensation plan structure, a closer analysis will show you that is not what you are receiving. 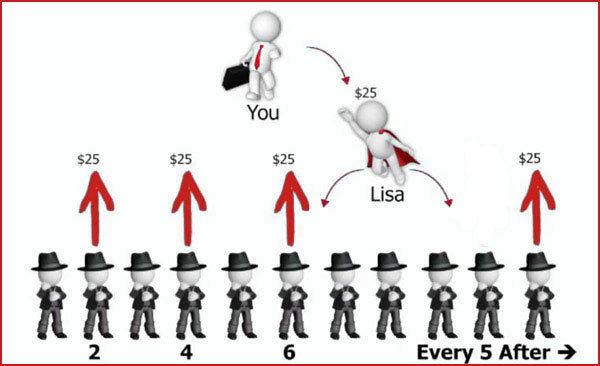 The picture above shows that, in the Empower Network compensation plan, you actually pass up half of the first six people you personally sponsor and then every fifth thereafter. So when you down to the actual math, you are actually only getting 50% for your first six and 80% after that. It is important to note that even if you get 100% of the purchase price that it doesn’t mean you’re getting 100% commissions. If you’re passing up sales that you generated, then that is not 100%. Hold on, it gets worse. Remember the resell rights I explained earlier? They play a vital role on how you get paid within Empower Network as well. If you don’t go “all in,” then you don’t get paid on some levels if your personally sponsored dowline goes all in before you. The reason for that is because, according to the Empower Network support forum, every product that they offer has its own separate and independent downline. For example, you can be in position #3 for the standard blog product and position #7 for the Inner Circle Mastermind product. Your position all depends on when you buy into the specific product, if you ever do. This is completely unheard of, and the reason for that is because it perfectly describes and illustrates what a pyramid scheme is, how it looks like, and how it functions. The Empower Network compensation plan rewards its affiliates who go all in by purchasing all their intangible products, so they can resell them to their recruits, and so forth, in a never-ending, continuous cycle. There is virtually no customer base in this program. The only people willing to buy into the products that they offer are the affiliates themselves, because no one else, in their right mind, will pay those outrageous prices for products that give little to no value to the end consumer. Here’s one more shady thing that I found, from Empower Networks own support forum, in the compensation plan section, that has received negative views. Click on the image to enlarge. This picture, which received a half-star rating from 171 affiliates, shows that Empower Network keeps all the future one-time and recurring commissions owed to the cancelled/terminated accounts that are generated from their dowline, instead of passing them up like any other network marketing program. When affiliates asked who would receive the commission from the canceler’s downline, they simply just didn’t answer. Empower Network knows, when they are asked about deceptive practices, that it is best to keep quiet and say nothing. They are basically stealing money from their own affiliates. Chances are they’ll steal from you too. What Kind Of Support Will I Get At Empower Network? I’m going to start off by saying, “Good luck getting any REAL support!” I say this because, even though they have a support forum, all the “support” they are focused on giving has to do with making them money. If you’re a newbie, and ask your upline leaders for support on what to do, they will tell you to go all in because the products have all the training information you’ll need and will answer all your questions. If you refuse to go all in, or are taking too long to buy all the products, your upline will make call you a wussy and leave you to fend for yourself. So, if you’re not willing to shell out the cash to buy all their expensive products, then you are looking at a very uncomfortable stay with lots of name calling. Empower Network actually states on a lot of their promotional material that there are “No Wussies Allowed.” They are the exact opposite of what an online community should be. There are also online hangouts and conference calls hosted by the owners and members that are used to try to hype you up into going all in. They call it training, it is, but it’s actually just training your mind to thinking that you actually need their products in order to succeed online. Just a bunch of deceptive support. Empower Network is a flawed system with low grade and overpriced virtual products. The compensation plan screams “pyramid scheme” on so many levels it’s nearly impossible to ignore. They say they’ll teach you how to market online, but what they teach you turns out to actually be counterproductive. You will be called names if you don’t do what everyone else in your upline is doing and won’t receive any support. You will be stuck in a cult-like environment where you will be pressured to buy their products, and recruit others to do the same. The deception won’t ever end. I urge you to stay away from this program. It contains faux products that will rob you of your time and money. You won’t ever get any REAL support. Invest your time learning about a program that actually cares about your success. Read my review about my #1 Ranked Program here! Have any complaints or your own personal review on Empower Network? If you do, then feel free to leave them in the comment section below. I appreciate your time. Extremely Well Done and well informed blog you have put together here ‘D’! But I see you’re blog isn’t branded with the spam rich pre-domain of empower network, so how did you get $150 grand to manufacture this blog right here?? I mean, isn’t that exactly what empower are trying to say? That you possibly cannot build your own blog for less than $150K!!! Pure GARBAGE!!! Just their name alone triggers my nausea reflex, ‘Impoverish Nobworks’ or ‘Empowered Knobheads’ are less sickening and more dignifying names for these two D&D Pants-On-Fires! Since those days about a year ago now, I have gone and done my own research into my favourite type of marketing which happens to be CPA, a clear winner in my books, with MLM and recruiting of any sort my least favourite of all…maybe empower had something to do with influencing my decisions and my feelings toward MLM marketing of any sort. They have put off many many people besides me, that’s a given! I have now established myself very very well in the CPA market and have finally become somewhat of a success, especially focusing my energies towards major traffic generation (I do traffic coaching now!) and steered my energies AWAY from anything to do with ‘D&D’! I’m misleading? But I approve all the negative comments that can influence people not to listen to me. The readers don’t need you or me to tell them what to do. Let them be and think as they want. I put out truthful, to the best of my knowledge, content and let the readers decide what to do next. Why do you pseudo advocates always say do what makes you happy? Isn’t that a given? Do you really think my readers are incompetent? I am a ex EN promoter. The EN blog is one that is from WP, which you get for free-i say FREE! avoid en like the plaque, they took my friends money and i caught them in many lies. i was taken too and same day i asked for refund- nope not a one, My friend never made any money with them, it was just too expensive, the guru gang promote to people like me=total non internet guru i am a new marketer and promote to desperate people that are from other countries the gang= dave and dave and the founding members are all a bunch of liers, instead of them helping a newbie, my money was taken, I was soo freaken lost as what to do and i was a inner circle member, ok? dave w said all you need is the inner circle and we will train you every week! ha! not, they had calls and that is what thay call training-a dumb call promoting you to upjoin to the next level-literally harassing you to do it for about 39min a hour dave s says do not be a wussie-oh i get it dave s – a wussie is you and the lies from these jerks were dave w said- for you to have a blog like the en blog , it would cost over 150k. When I found out It was all free=just google “get a free blog” and you will see them, gobs of free blogs and their even free training or books on amazon thsat teach you, the cost is nil-less then $10 to have a blog. when i see famous so called gurus promote en, i run as fast as i can. i just do not see how a lie can make one rich. some of the hardest nicest working people on the planet have suffered immensely because of them and their lies. I mean come on, who would not want to help a newbie? They are con artists and so are their leaders that promote them. This info is priceless. I was a member of EN for about two months, but it has changed since I was in it. I had the blog for $25. I think that it is way to risky to buy all the training for $5, 000 as you have to hope that someone else will buy from you and that you get the commissions to recoup your money back. Can’t imagine what it would be like if they were one of those sign ups that gets passed to your upline.upline. What you wrote regarding where any commissions go when someone leaves, is frankly scandalous. I’d no iea that was what happened. I just thought it would pass up the line. I hope that many others read your review as I’m sure it will help them to make a decision not to join EN. Thank you for your comment Annie. Yeah $5,000 is a lot of money for videos and audio files, especially since most of them contain outdated information and online practices that are frowned upon. Plus, you can get more and better information elsewhere for free. I was also quite surprised when I saw their answer to that question in their knowledge base. Some of the people who were in Empower Network were mad about finding out that the commissions don’t get passed up. When EN knew they messed up by answering truthfully, they stopped answering all the support questions in that post. I know at that moment that they were regretting joining Empower Network. The more questions you ask about EN the more you’ll find out it’s just a scam in disguise. EN doesn’t like to be asked technical questions, and will stop answering once they feel you are catching on. Hopefully everyone does get to read this post and comments. Please share it with your network to spread the word. Many thanks for analyzing the scam programs in a logical way and saving the average Joes a lot of money……and heartbreak. Please keep up the good work. Thanks again for your selfless service to the online community. Thank you for your comment Pravir. Using logic is the greatest way to review a program in order to avoid people saying that I’m bias. Thank you for your kind words and I will keep it up as you asked, that is a promise. The online community and those who are new to it need people out here to steer them away from the all the other deceitful people online that are just trying to rob people of their money, time, and happiness. 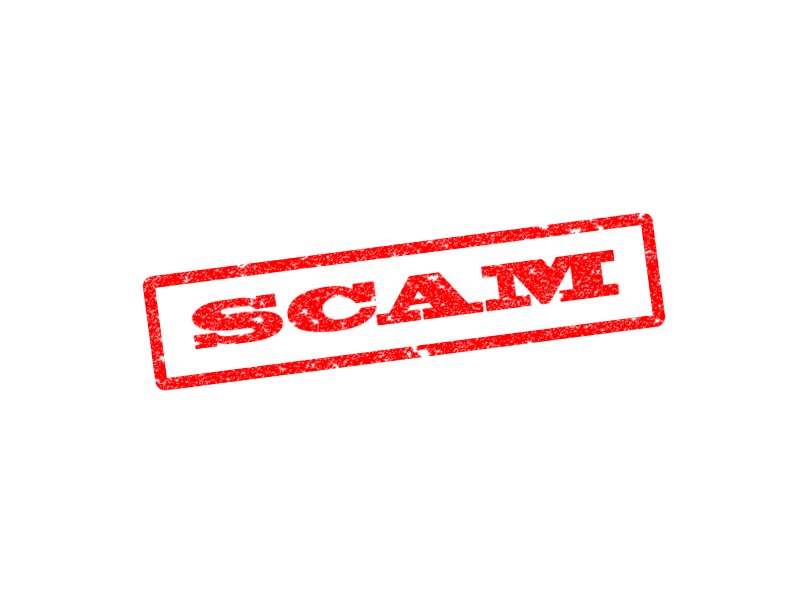 Very well said I like the way you put this blog together it is very informative and too the point as not to buy into this scam and to join you in a very good training community instead. Thank you for your comment Tommy. The unsuspected newbies keep falling for this scam because they are constantly being deceived about what it is they are actually buying into. A strong and supportive community is a must, not a community that’ll call you names for not emptying your pocketbooks.